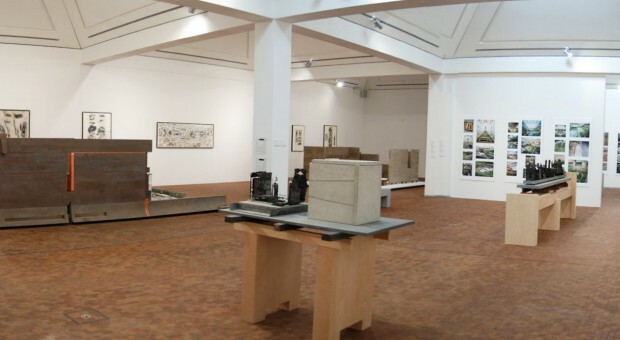 On 7 June 2011, the Utzon Center in Aalborg, Denmark, will open a large exhibition of sculpture, drawing collages, gardens, architectural projects, infrastructure design and urban planning by the internationally known artist and designer Michael Singer. Along with his visual art, Singer’s more recent public and private projects to be shown at the Utzon Center provide an inspiring venue in which to understand how artists, architects and landscape architects are increasingly intertwining their disciplines and are reaching out to collaborate with engineers, biologists, social historians, anthropologists, developers among many professions. More information on the opening can be found HERE.